It’s one thing to believe God to supply all your needs when you have a job with a company that pays you salary from month to month. It’s another thing to trust God to meet needs through ministry partnership. I have always wanted to work full-time in ministry after I got saved. Whether this was a God-given desire or just a personal whim, He evidently confirmed what it is 30 years later. Back when I was still single, I had no problem believing God to provide for my needs. But after getting married and having kids to feed, clothe and send to school, Ronnie and I struggled with this idea of support-raising for years. We would rather work and not depend on other people’s hard-earned money. But the Bible teaches a different perspective. God calls some to do full-time ministerial work and their needs are just as amply supplied by His provision through the generous giving of people whom God calls to be part of His ministry. Ronnie and I had to be liberated from our hang-ups about support-raising in order for us to fully embrace His calling upon our lives. And here we are, onward to our journey of “mobilizing people and their resources to the person and purposes of Jesus Christ” (quoted from The God Ask by Steve Shadrach). That is the idea. That was how Jesus and His disciples went about bringing the Gospel from one city and village to another. Many contributed to their support out of their private means (Luke 8:1-3). It’s about the Body of Christ working hand in hand towards a common purpose. Our part may be uniquely different from yours, but joined together, we fulfill the mission of giving every man and woman the chance to connect and have a relationship with our Savior and Lord Jesus Christ. 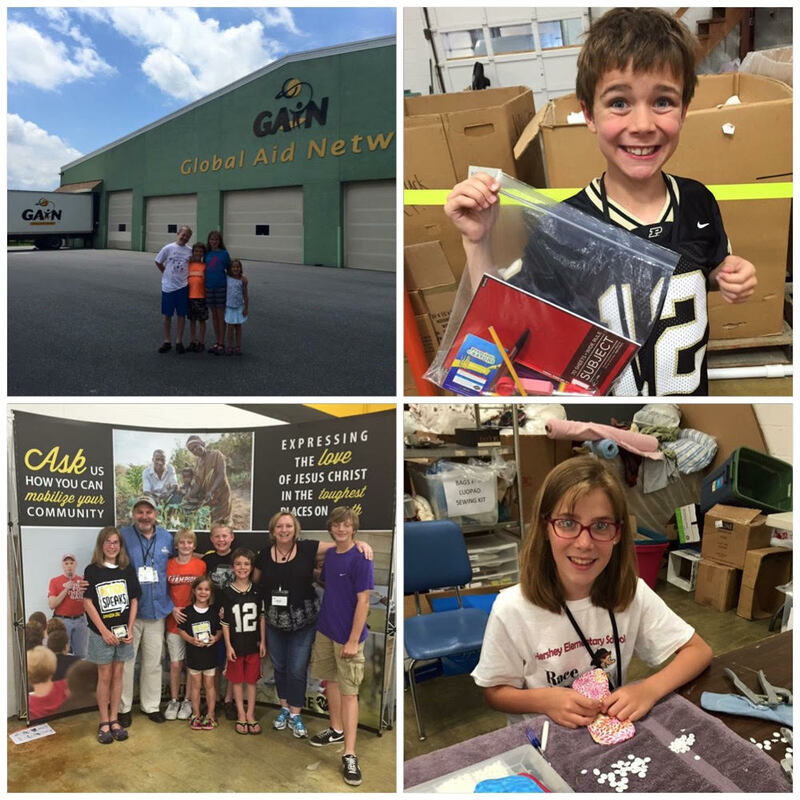 This past week (June 16-20, 2015) GAiN successfully held its Semi-Annual Mission Packing Event at its Logistics Center in Lancaster, Pennsylvania. 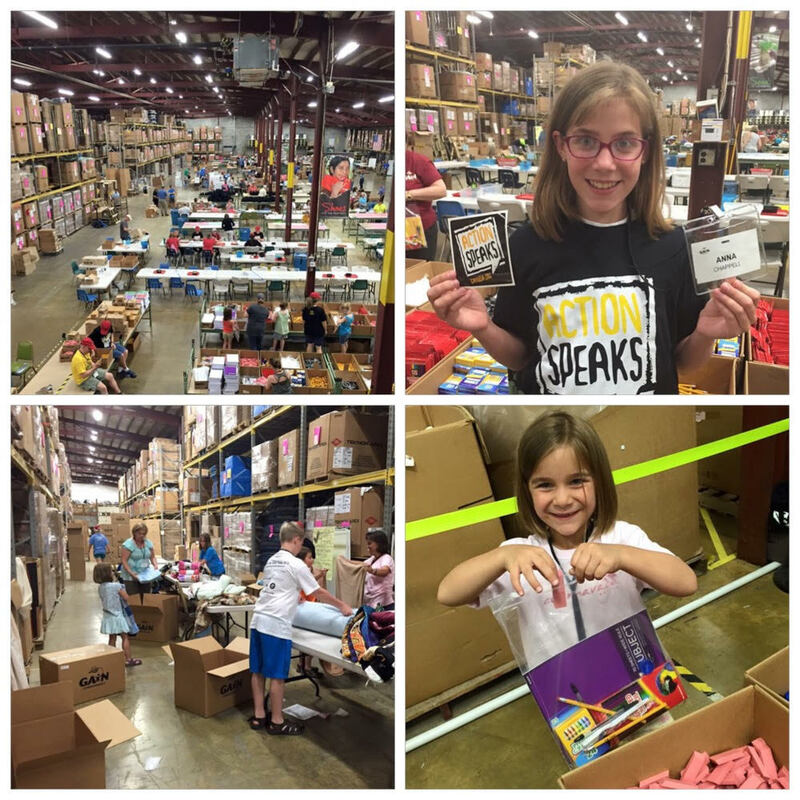 With hundreds of volunteers involved, this week-long family-friendly event packed thousands of aid packages which will soon be shipped in many places around the world where they are desperately needed. Special thanks to Christine Chappell for these photos! One of the many things I got so excited about while attending New Staff Training in Orlando, Florida was learning about the vast ministry tools we have at Cru. The Jesus Film is one of them. Did you know that the Jesus Film has now been translated into 1300 languages? It has been officially accredited by The Guinness Book of World Records as “The Most Translated Film” in history. What’s even more wonderful is the free app that’s now available! Once you download the app on your mobile device, it’s amazing what you can do with it. 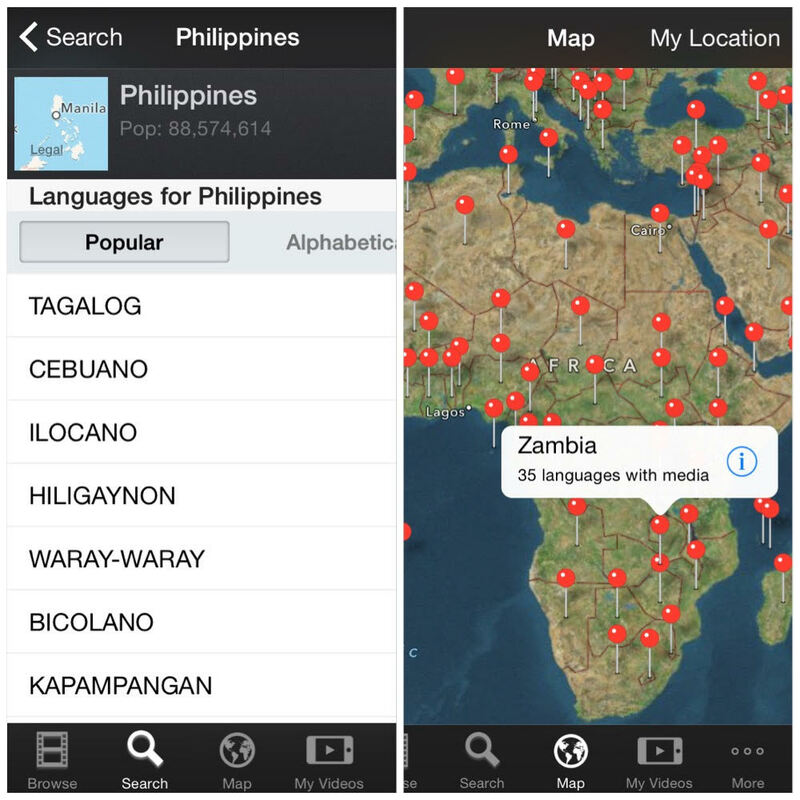 For example, you can search for a country within the app and it will give you all the translations that are available for that particular country. Just for Philippines alone, I could pull 61 languages and dialects that the film has been translated to! For Zambia, 35 languages! 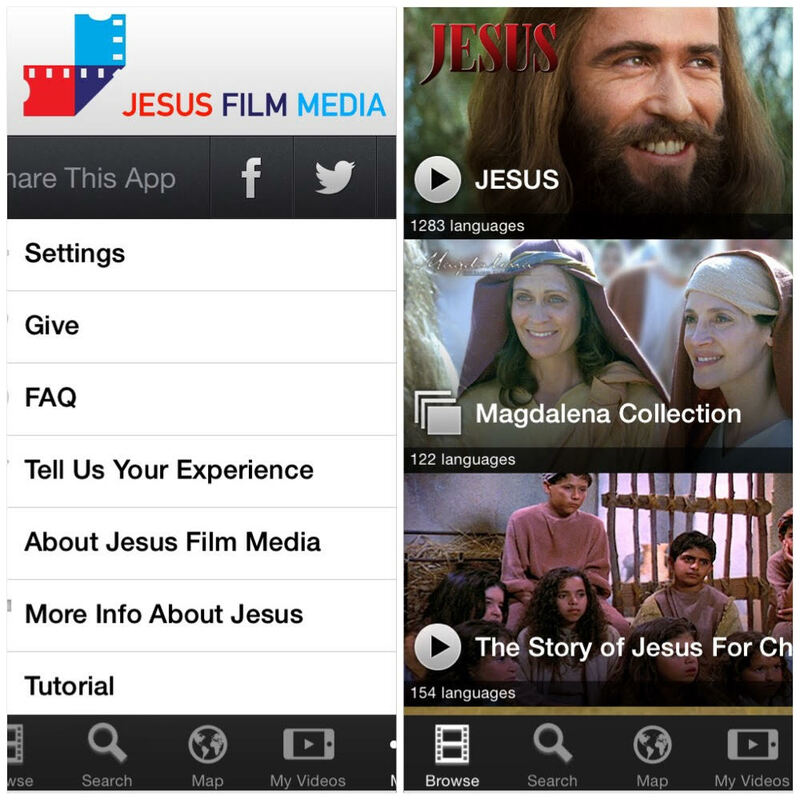 Not only can you access the Jesus Film within that app, other short films are available as well. Talk about having evangelism and discipleship tools right at your fingertips! Statistics show that 70% of the world’s population is illiterate. Can you imagine the impact you would have on someone who cannot read nor write, if you tell or show them the story of Jesus through a film translated in their own language? It’s powerful! To date, more than 200 million men, women and children have indicated to know Christ after viewing the Jesus Film, and new churches are being planted daily. This and other ministry tools are available not only for Cru staff members, but other believers or users as well. To find out more about these tools, visit cru.org. At the closing of my first month of support-raising, I came to about 16% in combined monthly pledges and actual gifts that are already up and running! Praise the Lord!!! That percentage actually exceeded the minimum support goal that I needed to raise per month under Cru’s ministry partnership guidelines. If this trend continues, I would be able to report to my assignment in 6 months, about half the time the average amount it takes for a missionary to report to his or her assignment! Don’t get me wrong. It’s not about how quickly I get to report to my assignment. This is all about God’s timing. Regardless when my support goal gets completed, the truth remains that God does supply for His mission and each gift received never fails to bring me into utter amazement of the One who calls each of us to be involved in the Great Commission. As I continually meet with more folks one-on-one in the next four weeks about my ministry, please pray that God will bless my appointment meetings to encourage, inspire and get people actively engaged in making His Son known. Our family is in a financial transition. Our household income scenario has changed significantly as I traded my full-time nursing job with being on staff with Cru. Pray for us to have a strong sense of determination and discipline as we try to grasp and follow God’s direction in meeting our monthly budget during this interim period, while staying within Cru’s ministry guidelines. The first month of my missionary journey after I completed the required New Staff Training has been a very fruitful one. 16% in monthly support is a good start. Thanks to all of you who have welcomed me in your homes, churches, phones, inboxes, breakfasts, lunch breaks, nights and weekends! There are many other ministries you can choose to support. Thanks for choosing to partner with me. For what this ministry of reaching out to the destitute with the love of Christ through the delivery of humanitarian aid and development projects is worth, I can’t wait to meet many more of you. It is in Christ’s name that I will continue along this path of obedience of getting this ministry fully funded to bring me to my assignment the soonest. All for the sake of those people waiting to hear the Gospel, so that they, too, may bring glory to our God as their lives are transformed through the life-changing power of our Message! To be real honest with you, I’d like to report to my assignment as quickly as possible. On the one hand, I don’t want to go ahead of God’s timing. But when it comes to saving a life in an emergency situation, we call 911. Every minute counts. The sooner the ambulance could come, the better the chance of keeping that person alive. This ministry is about saving souls in the light of their eternal destiny. If I were that critically ill patient, just how soon do I want the paramedics to come to get me breathing again? To learn more about how you can tangibly support this ministry, click here. ← God Answered Our Prayers!